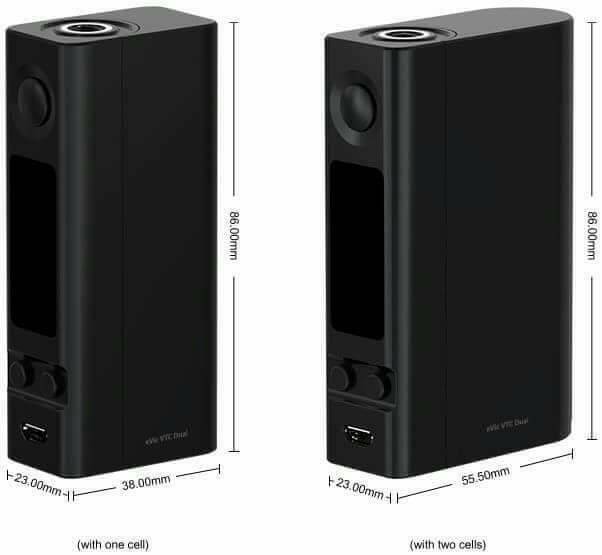 eVic VTC Dual features the replaceable back cover for alternatively using one or two cells as you prefer where maximum output can be reached to 75W and 150W respectively. New top filling system and improved adjustable airflow control are adopted in the ULTIMO atomizer. MG series heads with novel designs especially provide great vaping experience, including which the innovative MG Ceramic-0.5ohm head with long-lasting lifespan brings you a pure flavor ever. 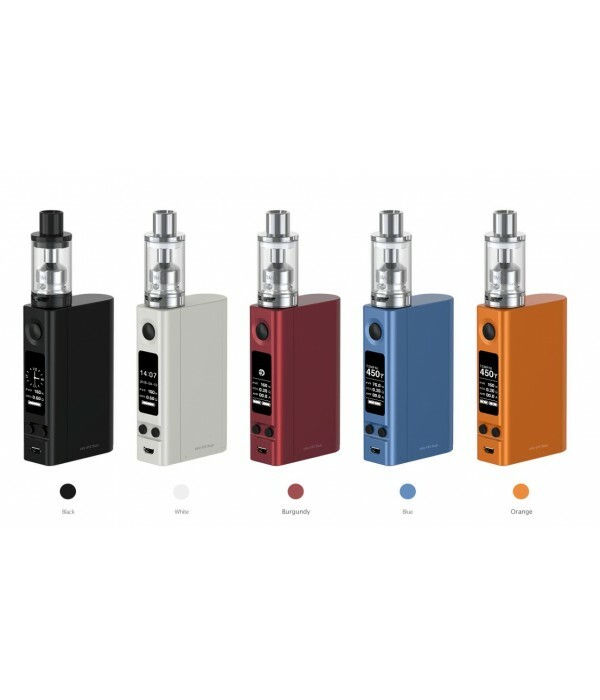 eVic VTC Dual comes with the replaceable battery cover, with which you can use one or two cells as you prefer. 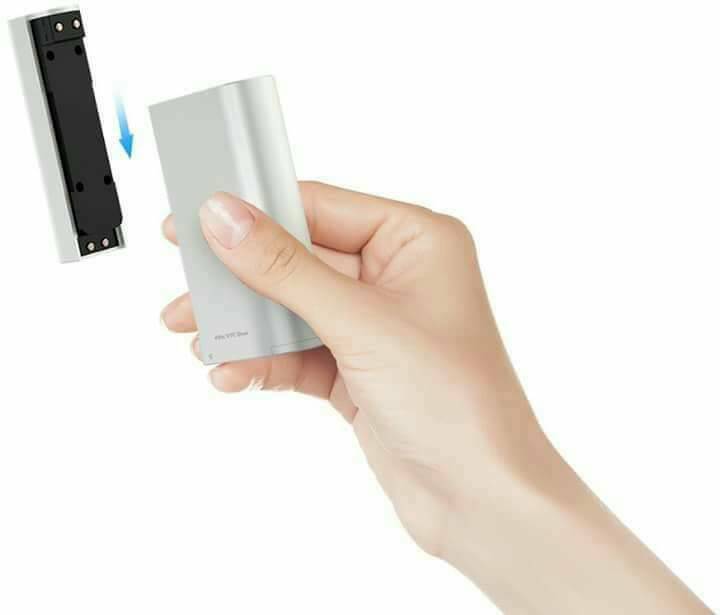 Simply hold the battery cover and slide to take it off. Put the battery into the cover and push it back into the body. 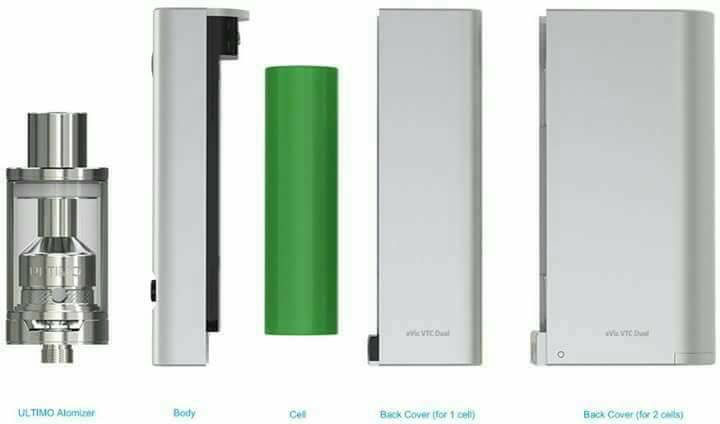 it will protect the device from damage in the event of reverse battery installation. We kindly recommend high-rate 18650 cells with rated discharge current 25A. Simply uninstall the top cap from the vent pipe component, then inject the e-juice into the two side holes (not the vent pipe) of the ULTIMO atomizer directly. With four prominent holes along the sides, it offers large e-liquid inlet which can get the coil totally soaked with ease. Simply connect the eVic VTC Dual with the micro USB cable to charge or upgrade. When it is fully charged, the charging bar will disappear.